All Shias are not non Muslim. In fact only those Shias are non Muslim who adhere to the following belief; that Hazrat Ali [RA] is Allah, or that Hazrat Jibreel brought the divine revelation “Wahi” to Nabi Muhammad [sAW] through error, and that the revelation was in fact supposed to go to Hazrat Ali [RA], that the Qur’an is incomplete, that alterations were carried out on the present Qur’an, that the false accusation against Hazrat Aisha [RA] is true, or that Hazrat Abubakr [RA] was not a Sahabi. Thus any Shia holding any of the above beliefs is not a Muslim nor will it be permissible to treat him as a Muslim. P.S. We would like to apologise for the delay in answering your question as our phone lines were down for quite a while. Please accept our apologies. Are all shia Kafir? If not what makes them kafir or how can i identify if he is kafir. I recently found out my friend is a shia he proposed to my wifes cousin and told her family that he has imamat and he is a shia my wifes cousin is sunni .Since then i decided not to be friends with him i dont talk to him. he and my wifes cousin is not allowed to come to my house and his 1st wife is also not allowed . ive read alot about shia and its alwasy said to 1st find out if they are kafir. 1)Is all shia Kafir .If not what makes them kafir or how can i identify if he is kafir. 2)by cutting myself off from him and not allowing him to enter my home am i commiting a sin . When a person openly calls himself a non-Muslim, i.e. he accepts that he is a Christian, Jew, Hindu, etc. When a person negates, through his words or actions, something unanimously proven through Quran and Hadith. He will not be regarded a Muslim even though he claims to be one. 1. They regard the Quran to be incomplete, and say that most of the Quran has been changed. 2. 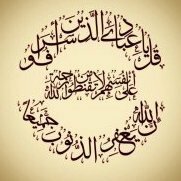 They regard most of the senior Sahabah (Radiyallahu Anhum), including the first three Khalifas, as murtads (those who have left the fold of Islam). 3. They regard the status of their twelve Imams to be higher than the status of the Ambiya (Alaihim Assalaatu Wassalaam). 1. Those about whom it is certain that they negate the principles of Islam. Such Shias will be regarded as non-Muslims even if they do claim otherwise. Shias have the habit of taqiyyah (i.e. they regard it virtuous to lie in order to safeguard their beliefs); therefore, their word will not be accepted, if reliable sources prove otherwise. It is not permissible to have inter-marriages with such Shias, Janazah Salaah will not be performed upon their deceased, the meat from the animals slaughtered by them will not be halaal and all other laws confined to Muslims will not apply to them. 2. Those who do not negate any principles of Islam, but have a difference of opinion with the Muslims on saying that Ali (Radiyallahu Anhu) was the most superior amongst all the Sahabah (Radiyallahu Anhum). Such Shias will not be regarded as non-Muslims, but they will still be regarded as fasiqs (those who transgress the laws of Islam openly). The laws confined to Muslims will apply on them, but it will not be advisable to have inter-marriages with them. 3. Those whose beliefs cannot be confirmed. They will not be regarded as Muslims nor will they be regarded as non-Muslims. As a matter of precaution, inter-marriages with them will not be permissible and the meat from the animals slaughtered by them will not be halaal. As far as ties with Shias are concerned, it is not permissible to have close friendship with them. However, Islam encourages Muslims to have good conduct with them, and show good character. Are Shias Muslim or Not? Q. Why do Ulama say that Shias are Kaafir? Shouldn't we be more tolerant and promote unity and peace? I have Shia friends who say that they don't believe in the wrong beliefs attributed to the Shias. They say that they are just following another mazhab (school of thought) within Islam. They do admit that there are extremists amongst them just as you would find extremists in other groups as well. Should I consider them as Kaafir even though they claim to be Muslims? a) When a person openly calls himself a non-Muslim, i.e. he accepts that he is a Christian, Jew, Hindu, etc. 2. Those who do not negate any principles of Islam, but have a difference of opinion with the Muslims on saying that Ali (Radiyallahu Anhu) was the most superior amongst all the Sahabah (Radiyallahu Anhum) and other such issues. Such Shias will not be regarded as non-Muslims, but they will still be regarded as fussaq (those who transgress the laws of Islam openly). The Shi'as predominantly found in the world today including Iran are the Ithna Ashari Shi'as who are not Muslims. Although the Ithna Ashari Shi'as claim that they are Muslims, they have beliefs, as established from their own books, that negate the clear cut principles of Islam. These are just a few examples. Many more references can be cited on various aspects of Aqeedah. Due to these and many other such beliefs, the Ithna Ashari Shi'a are not Muslims. It should be noted that Shi'a have the habit of taqiyyah (i.e. they regard it virtuous to lie in order to safeguard their beliefs). A person should be aware of this fact when interacting with them. The differences between Ahlus Sunnah and the Shi'a are well documented and is in no way similar to the differences of opinion within the four schools of Fiqh (jurisprudence) within the Ahl al-Sunnah. While there would be extremists in all groups as you have alluded to in your question, we are referring to the beliefs of the mainstream Shi'a. Only the canonical works of the Shi'a and the opinions of their chief scholars were relied upon when determining their fundamental beliefs. We acknowledge your concern for the unity and well-being of the Muslim Ummah. However, as much as one would want to put aside the differences between the Ahl al-Sunnah and the Shia, the fact remains that these differences do exist, and that by their very nature both groups are worlds apart. We do condemn all forms of extremism and sectarian violence, and also pray for a peaceful end to the conflict in the Middle East, however, at the same time, we do not consider our adherence to the Truth to be detrimental to that aim. It is an obligation upon each one of us to uphold the pristine purity of the Deen of Islam as established from the Quran and Sunnah and to honour the Ahlul-Bait (the pure family of the Prophet Sallallahu Alayhi Wasallam) and all of his Noble Sahaabah Radhiyallahu Anhum. May Allah guide us all and keep us on the straight path. Aameen. Are Zaydi's Muslims and part of Ahlus Sunnah Wal Jama’ah? The Zaidi Shi’ahs are divided into three sects: the Batriyyah, the Sulaymaaniyyah and the Jaarudiyyah. The Batriyyah regard Sayyiduna ‘Ali (Radhiyallaahu ‘anh) to be the best from amongst the Sahaabah (Radhiyallaahu‘anhum). They do however accept the caliphate of Sayyiduna Abu Bakr (Radhiyallaahu ‘anh) and Sayyiduna ‘Umar (Radhiyallaahu ‘anh) while withholding judgment on Sayyiduna ‘Uthman (Radhiyallaahu ‘anh). The Sulaymaaniyyah deem the caliphate of Sayyiduna Abu Bakr (Radhiyallaahu ‘anh) and Sayyiduna ‘Umar (Radhiyallaahu ‘anh) an error. As far as Sayyiduna ‘Uthmaan (Radhiyallaahu ‘anh) is concerned, some amongst them regard him to be an apostate. The Jaarudiyyah curse Sayyiduna Abu Bakr (Radhiyallaahu ‘anh) and Sayyiduna ‘Umar (Radhiyallaahu ‘anh) along with Sayyiduna ‘Uthmaan (Radhiyallaahu ‘anh). According to the contemporary Yemeni scholar, Qaadhi Isma’eel ibn ‘Ali Al-Akwa’, the latter day Houthi Zaidis generally fall within the Jaarudi influence, with notable exceptions. To curse Sayyiduna Abu Bakr (Radhiyallaahu ‘anh) and Sayyiduna ‘Umar (Radhiyallaahu ‘anh) is a grave offence and an act of kufr (disbelief). In general, the Zaidi Shi’ahs are regarded to be Muslims, albeit not from the Ahlus Sunnah Wal Jamaa’ah. We cannot pass a blanket ruling of kufr on them. One should not approach them in an abusive or disrespectful manner. They should rather be approached in an adequate and diplomatic manner. If this method is adopted, they may lend an ear and Allaah Ta’aala may guide them through us. والزيدية هي: إحدى فرق العدلية القدرية التي تقول بالعدل، إذ تنفي خلق الله تعالى لأفعال العباد بزعم نفي الجبر، كما تعطل نصوص الصفات الذاتية والفعلية لله تعالى تحت دعوى التوحيد. وتعد الزيدية (الهادوية) أقرب فرق الشيعة إلى أهل السنة والجماعة، إذ يتصف مذهبهم بالابتعاد عن غلو الاثني عشرية وباقي فرق الشيعة، كما أن نسبتها ترجع إلى مؤسسها زيد بن علي زين العابدين، الذي كان يرى صحة إمامة أبي بكر وعمر وعثمان رضي الله عنهم جميعاً، ولم يقل أحد منهم بتكفير أحد من الصحابة. ومن مذهبهم جواز إمامة المفضول مع وجود الأفضل، إلا أن فرق الزيدية انحرفت، ما عدا الهادوية، عن مبادئ زيد هذه ورفضوا خلافة الشيخين وتبرؤوا من عثمان وقالوا بالرجعة وعصمة الأئمة موافقة للرافضة. أقول: نعم نقل في البزازية عن الخلاصة أن الرافضي إذا كان يسب الشيخين ويلعنهما فهو كافر، وإن كان يفضل عليا عليهما فهو مبتدع. اهـ. 4 - حَدَّثَنَا عَبْدُ اللَّهِ، حَدَّثَنِي زَكَرِيَّا بْنُ يَحْيَى بْنِ صَبِيحٍ زَحْمَوَيْهِ، وَحَدَّثَنِي مُحَمَّدُ بْنُ خَالِدِ بْنِ عَبْدِ اللَّهِ، قَالَا: نا إِبْرَاهِيمُ بْنُ سَعْدٍ قَالَ: حَدَّثَنِي عُبَيْدَةُ بْنُ أَبِي رَائِطَةَ، عَنْ عَبْدِ اللَّهِ بْنِ عَبْدِ الرَّحْمَنِ، عَنْ عَبْدِ اللَّهِ بْنِ مُغَفَّلٍ الْمُزَنِيِّ قَالَ: قَالَ رَسُولُ اللَّهِ صَلَّى اللهُ عَلَيْهِ وَسَلَّمَ: «اللَّهَ اللَّهَ فِي أَصْحَابِي، لَا تَتَّخِذُوا أَصْحَابِي غَرَضًا، مَنْ أَحَبَّهُمْ فَبِحُبِّي أَحَبَّهُمْ، وَمَنْ أَبْغَضَهُمْ فَبِبُغْضِي أَبْغَضَهُمْ، وَمَنْ آذَاهُمْ فَقَدْ آذَانِي، وَمَنْ آذَانِي فَقَدْ آذَى اللَّهَ عَزَّ وَجَلَّ، فَيُوشِكُ أَنْ يَأْخُذَهُ» .